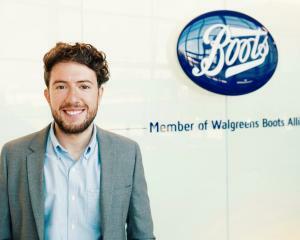 After starting his working life on the shop floor to fund his music obsession, Joe re-joined Walgreens Boots Alliance as a graduate and has worked his way through the ranks to his current role, leading the Product and Marketing team for the UK’s biggest health + wellness brand, Boots. Having led and implemented a transformational organisational restructure of the team in line with the brand strategy, Joe established new design + communication principles for Boots Brand healthcare and significantly up weighted the innovation pipeline (including several world-first launches), the results of which are appearing in stores throughout the rest of 2018 and 2019. Now, Joe is responsible for the continued global expansion of the Boots Healthcare product offer while continuing to nurture and develop what he says is ‘the best team he’s ever worked with’.